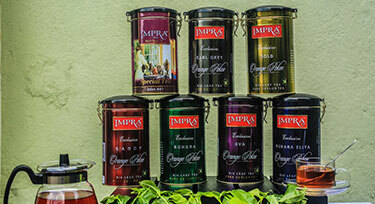 Experience the best of Ceylon tea and British Earl Grey, which comes in this handy metal caddy. 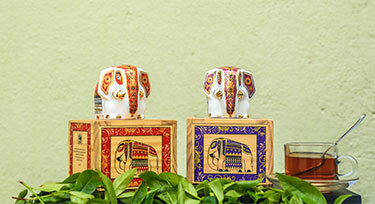 Also makes for a cutesy gift! 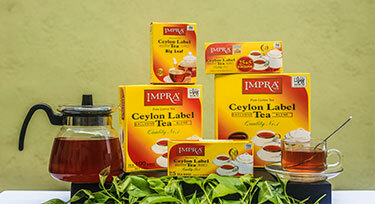 Pure Ceylon tea that is assured to brighten your day! 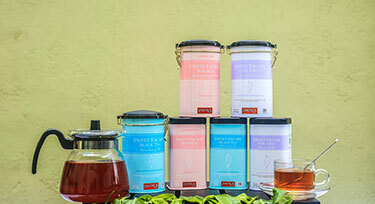 Enjoy a cup or two over a conversation, or while simply treating yourself to some alone time. 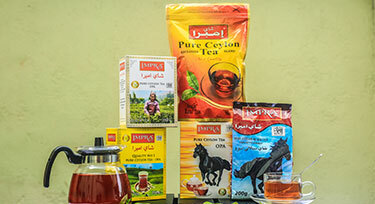 Black tea at its finest! 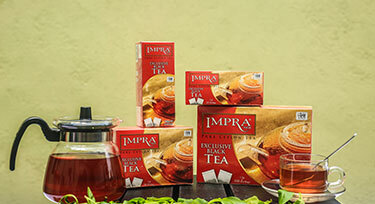 This range offers a sharp taste that comes with ultimate invigoration. 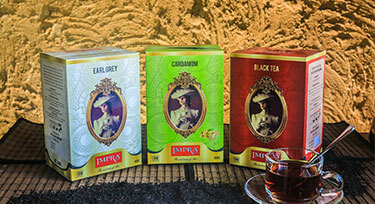 Make your teatimes extra special with our exclusive range of European Blends! 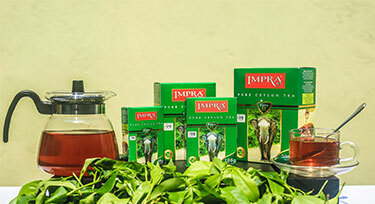 We pluck, pack and process nothing short of the finest in quality tea leaves, to fill each sip with flavour, aroma and vitality. 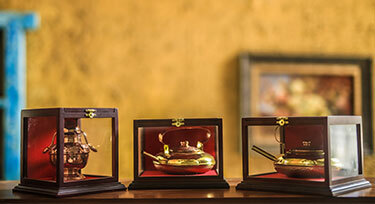 An experience of Ceylon is never complete, without drinking one of our signature teas! 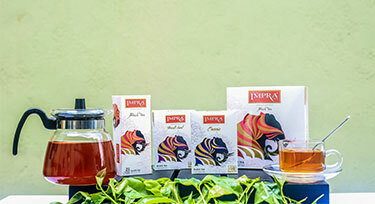 This range of teas offers just that, with each variant being sourced from the country’s most sought after tea plantations. 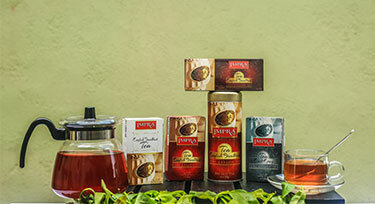 A range of brisk black teas that cater to the Middle Eastern palette, all of which are made with the choicest Ceylon tea leaves. 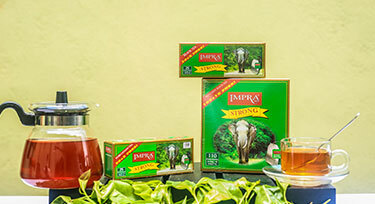 Superior quality black tea that guarantees freshness with every sip: makes for a great gift, or is ideal for treating yourself at the end of a long day. 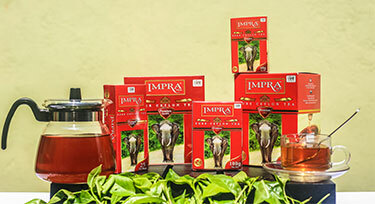 Allow the IMPRA Urban Elephant Range to bring out the sophistication you rightfully deserve – whether you’re hosting a tea party for your friends or simply watching the sunset with a special someone. 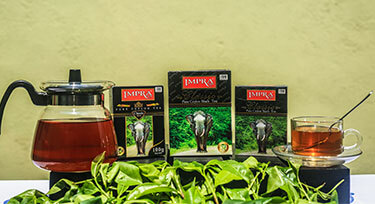 This small leaf tea has been sourced from Ceylon’s best tea estates to give you the perfect cup of tea. 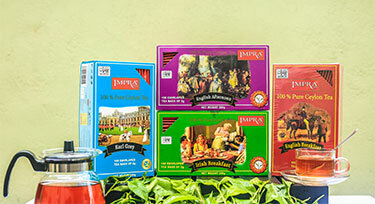 So go ahead, indulge in a cuppa that is as soulful as it is nourishing. 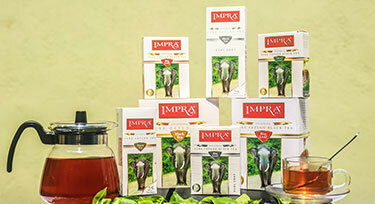 Every tea leaf that goes into the IMPRA Red Range has been plucked, dried and rolled to perfection. 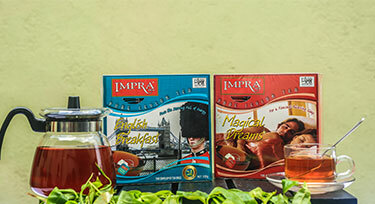 Whether it’s a family breakfast or a solo evening, sip into one of these teas any time of the day. Give yourself the right start to your day! 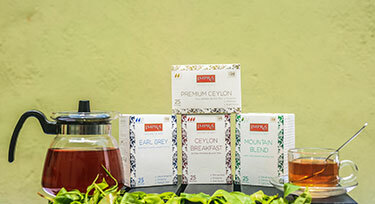 Treat your senses to one of our teas that are made to give you the boost and nourishment you need. 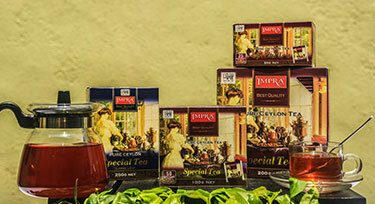 Our signature cup of tea that you just can’t go wrong with! 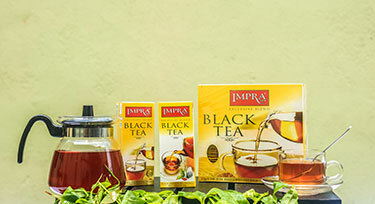 Immerse yourself in the warmth of black tea from the IMPRA Green range, which is prepared with the choicest tea leaves for superior flavor and aroma.